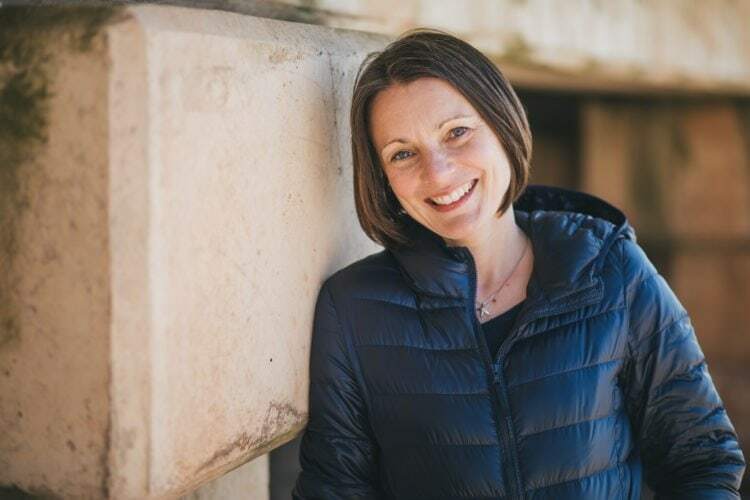 Introducing Sophie Le Brozec And A Huge Life Changing Give Away... | The Free From Fairy. Today I’d like to introduce you to someone who I find utterly inspiring, Sophie Le Brozec. Sophie Le Brozec has not only had a vision of how she wants her life, but she has stepped into it. Now I personally find having any kind of vision very challenging. I have always found visualisation tricky and imagining my future…well, I love where I am so I find that hard too. I guess I feel very grateful for the life I have and I don’t want to appear greedy by wanting any more. However, here is the bad news if you’re like me. If you don’t know what you want in life, you’re never going to get it. It’s like when you really want to have children. All you think about is getting pregnant and all you see around you are pregnant ladies. It’s not just that there are suddenly more pregnant ladies; it’s just that you are focusing on that so you see it. Life is the same. If you know what you want you are far more likely to get there. And why do I tell you this? Well Sophie knew what she wanted and she certainly got there. And the best bit is that she now has an online course to teach you how to get what you want in life too. How to live the life you deserve and one that you love. I am currently working my way through the course. Once you buy it you have access to it for life so there is no pressure to complete it in a certain number of weeks. It basically fits around what you are already doing. But it also gives you a lot to think about and plenty of practical exercises to help you get to a better place in life. On top of the short modules that you can listen to on the go, or while you are doing other things, Sophie has a supportive private Facebook group. There she encourages change and helps by supporting you every step of the way. It’s a wonderful community full of love and joy. I’m going to hand over to Sophie to tell you more about how she created this incredible life and course. There is also an opportunity for one lucky reader to gain a free place on the course, so do keep reading. When I was 17 I made the decision to study French and Spanish at university. Everyone asked me what I was going to do with that degree afterwards, and I would jokingly say that I was going to move to a French-speaking tropical island, as I loved the sun, heat and beach. Fast forward 25 years and I’m married to a Frenchman, who I met whilst living on the French Riviera for 12 years, and we’re living on a French-speaking (and English-speaking) tropical island. Talk about dreams coming true! Before moving to Mauritius we were living in London, with our two daughters, and one day my husband said to me “do you realise we can live anywhere in the world that has a good internet connection?”. We knew we wanted to try island life for a while, and Mauritius ticked so many boxes, so we decided to give it a whirl. It was a bit of a big decision as we’d never been here before, didn’t know anyone here and had no guarantee we’d get the permits to live and work here. But we took the leap anyway and have been here for over two and a half years now. What did you do before you moved to Mauritius? When we first moved to London from France I worked as an Account Director in a digital marketing agency in central London. But after having our second daughter I realised that I wasn’t ready to be a working mum again, to hand over most of my salary in childcare, and to barely see my kids, including my baby. So I looked into alternatives. I knew I wanted to work, earn and spend time with my kids. So I retrained as a childminder, ignoring everyone’s rude comments about “wiping snotty noses” and I got to spend my days raising my kids, and also two other little ones who became an extended part of our family too. 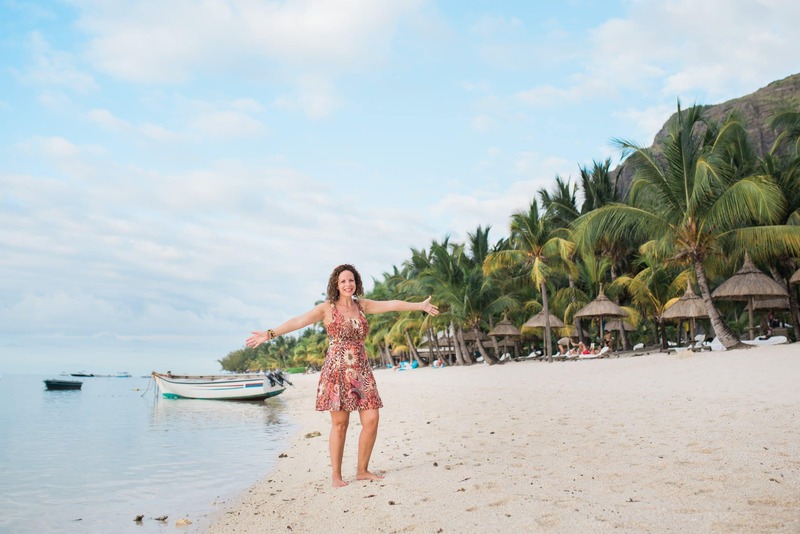 Just before moving to Mauritius I was working 4 days a week as a childminder, I had a parenting blog, I had written and published a bilingual children’s book and I was in the process of launching an online course for French-speakers wanting to learn English and vice versa. What lead you to supporting women in getting the life they want and deserve? 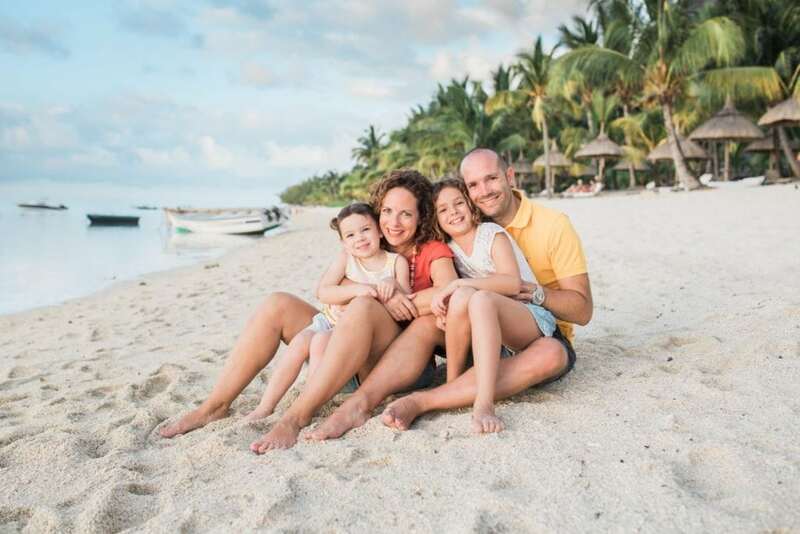 I have always been passionate about helping and supporting friends in real life, then when I started my parenting blog (Franglaise Mummy) in 2012 I used to get loads of questions about moving to France / back to the UK, as well as parenting in the two countries. This led on to more detailed questions about self-respect, parenting, relationships, work and more. Before long I was answering agony aunt style emails and I realised it was something I LOVED. So I took it one step further and made it my business. And it really is the best feeling in the world for me, seeing the transformation in the women who go through my Life Reboot Camp programme. Welcoming in women who are tired, overwhelmed, lost and not sure where to even start to get “better” and become happier, then see them grow stronger and more fulfilled every day. That is the greatest satisfaction ever. I also love that because I’m in charge I get to choose. So I choose for example where the profits go, and I love supporting my 3 chosen charities with a portion of every penny that comes into my business. (I was recently able to support a local charity that helps and teaches families living in extreme poverty just a couple of miles from me). And I love the flexibility of my job – being able to work around my kids and my own wants and needs is fantastic! The admin side of things – making sure everything is doing what it should on the website and so on. But luckily that’s only a small portion of my time. Can you tell us a bit more about your online course? Life Reboot Camp is for women who feel unfulfilled in their life, a lack of contentment, jealousy when they scroll through social media and see other people’s photos and lives. They are frustrated with where they are at in life, they may be bitter and feel like life is so much better and easier for everyone else. They may also be looking for balance, feeling a bit mid-life crisis or be at a crossroads. It is a self-study programme which you have for life and which you go through at your own pace, as many times as you want. We cover 6 modules: All about YOU, Woo-woo (all the weird, wacky, out-there things that you need to know), Relationships & Friendships, Parenting, Work & Career, Decision-making and Facing your Fears. Each module is broken down into episodes of 5-15 minutes which you can watch as videos or listen to like a podcast. As a busy mum of two I wanted to make it as easily digestible as possible. Each episode has an accompanying worksheet if you want to delve deeper on that subject. When you sign up to the course you also get free lifetime access to the accompanying private Facebook group and the Life Reboot Camp community there. It’s a safe online space to share, rant, brag, ask questions and more. You can’t change what people say and do but you CAN change your reaction. This was life-changing for me and made my life so much simpler as I stopped stressing out over others. I have to ask…What is the food like in Mauritius? Can they cater for people who are gluten-free and dairy-free ( I live in hope so I can visit one day!). Food in Mauritius is incredible as there are influences from all over – you’ve got Indian, Chinese, Creole, French and British food. And I love that I can find British food that I couldn’t find in France, and French food that I couldn’t find in the UK. There are some great health food shops too so you can easily get almond milk for example, and there are quite a few gluten-free options in the supermarkets too. You can find out more about Life Reboot Camp at www.SophieLeBrozec.com/camp, more about me at www.SophieLeBrozec.com/about and come and say hi anywhere on social media – I’m Sophie Le Brozec everywhere. Big love and remember to love the life you live! One lucky reader will be picked at random to receive a free, life changing place on the course worth $797. All you have to do to be in for a chance of being picked is log in below with an email address or Facebook profile, then follow the instructions. The giveaway is open to anyone over the age of 18. No cash alternatives will be given. The winner will be picked at random and their email address will be passed on to Sophie Le Brezec to send details of the course and how to join. Very interested to read about your flour as I use too much rice flour however although I use Teff, buckwheat and sorghum I am unable to buy your products as they contain tapioca which I have to avoid. Do you have any recommendations as to how I can come up with a nutritious blend without tapioca not revealing trade secrets?